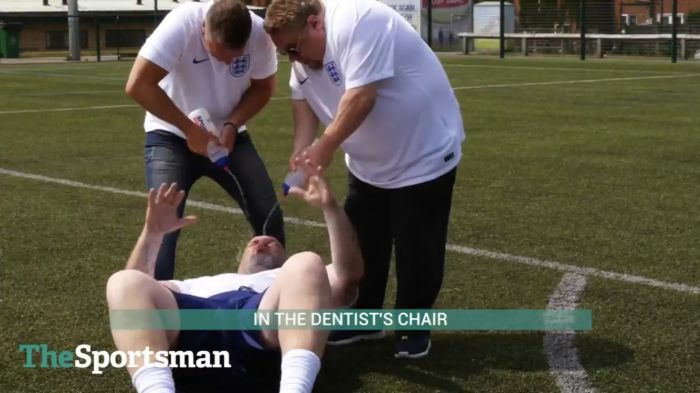 We teamed up Razor Ruddock with The Sportsman & pop duo Bell & Spurling to produce a funny light-hearted song about England and their World Cup hopes. The idea was to recreate Bell and Spurling’s classic ‘Sven Sven Sven’ from 2001 into a catchy tune about England’s new manager Gareth Southgate and the current players in his first World Cup squad. The Sportsman directed the music video for the song which featured former England and Liverpool player Neil ‘Razor’ Ruddock who helps sing the song in his pants while drinking a popular blue alcopop which rhymes with WKB. Dennis Wise 'Poacher Turned Gamekeeper' for Sky Sports 'Support The Ref' Week ! We do not act as a contracted agent to of any of the above names and personalities, but work directly with either the individuals themselves or their respective management.